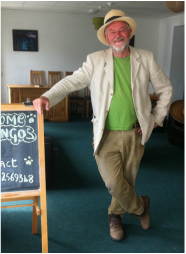 Django's offers comfortable, modern self-catering accommodation in the very heart of Ireland. Our unique setting, within Ireland's first ecovillage development and our sustainable ethos means that staying with us is good for the planet, as well as your pocket! Open all year round, we have a range of small dorms or private rooms, all en-suite. Prices start at just €20 per person per night.